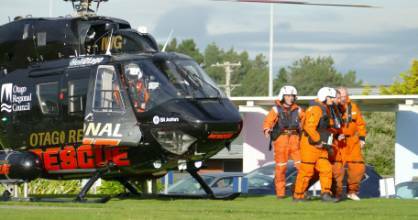 12 min ago Pilot remains in hospital while the two crewmen have been discharged after helicopter plunged into Southern Ocean. 14 min ago Helicopter company boss Sir Richard 'Hannibal' Hayes feared the worst as he flew to crash scene. 7:53 AM 'Complete blackness': Trio in chopper crash swam to safety through freezing water and in total darkness to survive. Teriyaki kumara and teriyaki pumpkin just some of the many seasonal options available at Nori in Christchurch. Trading has resumed in a row of century-old Christchurch buildings quake-damaged, but now faithfully restored. OPINION: So what are we to think of the extinction people, the ones who've clogged London to warn us all of climate change (as if we'd not been warned already)? A fallen candle has destroyed a recently married couple's home, and a precious wedding dress. Two intruders brandishing a shotgun and a machete allegedly robbed a man at a Dunedin house. Christchurch's Willowbank Wildlife Reserve has welcomed four bachelor capybara brothers from Auckland Zoo. A person had to be cut from their vehicle after collision between a truck and ute near in rural Canterbury. Firefighters are battling a house fire just north of Oaro, near Kaikōura. 6 min ago Can't afford a boatshed? You can buy this ramp (foreground) for $7500, but that's all you get. Kaikōura students are getting to know a marine world which used to be hidden beneath the waves. Owner says she didn't know her quake-hit home was under-insured and it wasn't her fault. Opened to house construction workers after the Canterbury earthquakes, the owners want their money out of Workatel. Could council refuse to take the new convention centre off the government's hands? Depends on the final, global settlement. Public input is "critical" to a high-level review of EQC's Canterbury quake response. OPINION: Intolerance exists, and we have to be honest if we want to be better. OPINION: Sri Lanka is banning social media access in the aftermath of deadly bombings. It's a dangerous path. OPINION: For those with a belief in the public interest of evidence-based policy, the shelving of a CGT is a setback. OPINION: When Greta Thunberg undertook her solo vigil outside the Swedish Parliament, she highlighted the failure of my generation. Some lost employees, some lost a year's worth of pay. Some are increasing fees and vowing it won't be them - again. Two key Crusaders forwards join the injured Owen Franks in sitting out rematch of 2017-18 finals. A new poll suggests the majority of Kiwis want Crusaders name to stay. New Tasmanian NBL team's finals chances could rest on how they go on Kiwi soil. Magic gain important win over Tactix to stay in premiership finals contention. 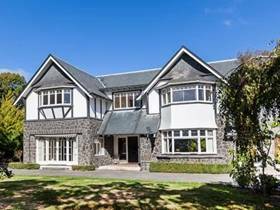 A classic Christchurch home offers abundant potential for an astute buyer. Christchurch's burger joints stack the fillings high for you to enjoy. REVIEW: Friendly, accommodating and efficient. Food and coffee always comes out quick and hot at this fantastic favourite. A Kiwi musician is returning to her roots with a residency at Christchurch's historic Arts Centre.